Whatever your interest, beach, back garden, open spaces, holiday or club, Naturist Life is the magazine to read! Published bi monthly – six issues per year and packed with news and information as well as feature articles on holidays, beaches, clubs and places to go as well as the personalities in the naturist movement the magazine is a bright and breezy read. Already, because our subscribers come from all walks of life and with varying interests, the range and depth of articles is increasing and we are attracting a number of well known and experienced writers, who are also giving freely of their talents. Do not expect an entirely reverent view of naturism – if there is a story that needs to be told. Naturist Life magazine first evolved from the newsletter – Shabden News which was originally developed as a means of communication between members of Shabden Leisure Circle. Suzanne Piper, the Editor of Naturist Life and Club Secretary for Shabden, has been a naturist for more than 40 years and is well known on the international scene. Currently British Correspondent for France 4 Naturisme she is also a journalist and writer. Subscribers receive a range of benefits including organised holidays abroad, club visits and social events in subscribers’ own homes. 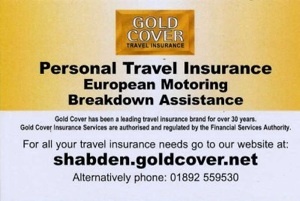 Discounts, which could save more than the cost of your subscription, are available on holiday insurance and events organsaed by Naturist Life. Subscribers are encouraged to organise activities and to publicise them through the magazine. Help is given to those wishing to do this and offers of help at Leisure Centre evenings are appreciated. We also advise subscribers of events, such as club open days, to which they would be welcomed. The Event pages of Naturist Life keep subscribers fully informed about the regular barbecues, social evenings, holidays and events that are held throughout the year. The added bonus of subscribing to Naturist Life is that you receive complimentary membership (subject to acceptance) of Shabden Leisure Circle whose membership card is recognised for admission to many events, clubs and holiday centres both in the UK and abroad. Shabden Leisure Circle, whilst being a member club of British Naturism, does not require members to become individually subscribing members of BN. Subscribe to Naturist Life magazine online! 40 pages, full colour, A4 format on high quality glossy paper. Packed full of naturist photographs, interesting articles and information on how to get the best out of the naturist lifestyle. To receive six issues of the magazine delivered to your door in a plain envelope.